I think the strap is one of the most overlooked pieces of gear we have in our arsenal. 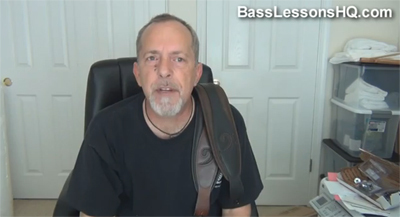 Most of the time, bassists choose a strap bases solely on looks. And, sure, looks are important. But not nearly as important as comfort on stage.Four years ago, I found the answer – very comfortable, well constructed straps that also looked awesome. The company is called LM Products, and I’m proud to endorse them.Check out the video below to see what I mean. Check out their entire line of straps on their web site. And tell them Lane said HI!